Area: area of a bounded figure is the space covered by it. Its diagonal bisect each other at right angle. In this of questions, we will do comparison based on certain quality between the objects. Based on Comparisons we will arrange them in some order (Ascending, Descending etc.) and answers the questions accordingly. Study the following information and answer the following questions. A Carpenter has five wooden table J, K, L, M and N; each having a different weight. J weighs twice as much as K.
K weighs four and a half times as much as L.
L weighs half as much as M.
M weighs half as much as N.
N weighs less than J but more than L.
Question 1. Which of the following is the lightest in weight? Question 2. N is lighter in weight than which of the other two articles? Question 3. E is heavier than which of the following two articles? Question 4. Which of the following articles is the heaviest in weight? Question 5. Which of the following represents the descending order of weights of the articles? Question 6. Which of the above given statements is not necessary to determine the correct order of articles according to their weights? Each of five friends A, B, C, D and E scored different marks in an examination. Maximum marks of the examination are 100. B scored more than E but less than C. Only two people scored more than A. E did not score the minimum marks. The one who scored second highest marks scored 87%. 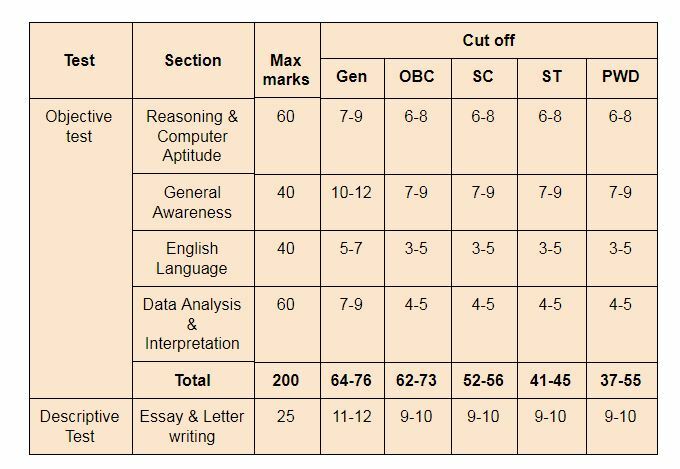 E scored 72% marks. Question 7. How many people scored more than E in the examination? a) None b) One c) Two d) Three e) Cannot be determined. Question 8. Who among the following possibly scored 81% marks? Question 9. Which of the following percentages may correctly represent C’s percentage in the exam? In this type of questions, some clues are given regarding the selection of items of the group. We have to make selection of items after examining the clues and answer the questions accordingly. Eight students A, B, C, D, E, F, G and H are planning to enjoy car racing. There are only two cars and following are the conditions. One car can accommodate maximum five and minimum four students. A will sit in the same car in which D is sitting but H is not in the same car. B and C can’t sit in the same car in which D is sitting. Question 1. If H and G are sitting in the same car, who are other two students sitting in the same car? Question 2. If E and A are sitting in the same car, which of the following statements is true? Question 3. Which of the following statements is superfluous for the above sitting arrangements? These notes have been provided by Plutus Academy. 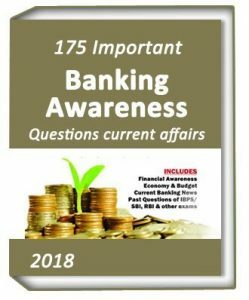 We all know about the fact that now only one sector is in India which have job Opportunities that is banking sector.and everyone wants to join Public Sector banks because the salary they offered their employees is more and the downfall in IT sector is also the main reason behind it.Banking Exam Tips, youth is neglecting the high paid jobs but they are showing their attraction in banking sector jobs. So you can hear a line so many times that is How do i prepare for bank Exams? 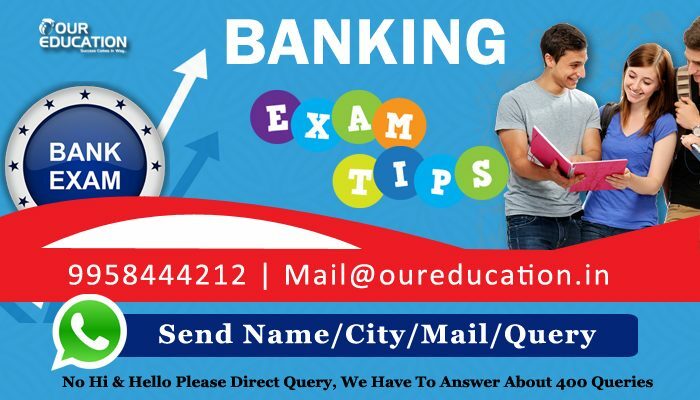 so we are trying to give you some Banking exam tips here about the bank exam preparation. and for more help you can ask to our experts on oureducation.in . If you are going to prepare yourself for the banking exam then you must know about the ayllabus well and about the subjects what are the subjects and about the best books of all the subject. and divide your time equally for each and every subject. And also do preparation about the Computer based testing. There are some changes in the exam pattern and nature we are looking every year now the bank exams are also computer based test so be prepare for it all the time just because if you are going to face computer based test first time then it will surely take your time. and this will be only wastage of your precious time. so for an aspirant must change yourself according to the technology. Always focus on each subject if you are preparing for the bank exam. there are five sections in bank exam. 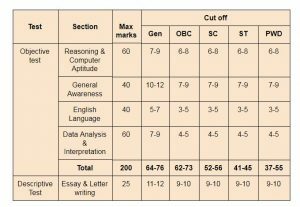 If you want to clear the bank exam then you have to got passing marks in each section then you will be able to pass the exam so give equal concentration to each subject. Always remember your weakness and strength. and always try to use you strength to improve your weakness just because its a very good idea to improve your weakness and we discuss about it before that you must got qualifying marks in each section and we know well that no one is perfect but if you are going to prepare for bank exam than you have to make perfect yourself in these five sections. just because after qualifying in all the sections you will qualify for the next round. Group Study matters a lot if you are doing preparation for any of the competitive exam. If you are doing group study daily with your 5 friends then you will be able to know the 50 new questions and their answers daily so its effective and it works a lot and increase your ability. The daily paractice is necessary just because someone says “Practice makes man perfect” so if your preparing 3-4 hours daily than its enough to crack the exam but it must be with group study. Daily News paper reading increases your three abilities. And these three all required in banking sector jobs so always read news paper for at least one hour. Mock test is necessary if you want to perform well in mathematics and reasoning serction it will increase your capability to solve these two subjects well and this practice also help you during exam to manage your time. so always try to solve one previous paper daily. Comprehension topics are latest topics like cryptocurrency , electric cars etc. Quantitative aptitude : In Quant section there are 10 question of data interpretation , 5 question of series and rest of the questions are from geometry, 5 questions of quadratic equations , profit and loss , Compound Interest etc. ( Level of Quant is also Moderate). The IBPS Clerk Prelims 2017 exam will be conducted on 2nd/3rd/9th/10th December 2017 in different shifts each day. The paper overall was of easy to moderate level. Today is day 4 of the prelims exam and it will be conducted on four different shifts.The first shift is over now. Like the previous days, it was observed that the english section was tougher than the other sections today as well . This analysis will help all of you who had appeared for the exam as well as those who are preparing for the exam by giving you a detailed indepth knowledge about the questions that were asked, marks distribution, good attempts and weightage given to each chapter of every section. Only 5 questions were asked in the Reading Comprehension as like in the previous shifts. New pattern question was asked on idioms and phrases.Candidates has to find the correct idiom for the word which is mentioned in bold in the question. New pattern sentence rearrangement questions were asked. Parts of a sentence were to be rearranged to make a meaningful sentence. For online video classes of bank, ssc and other competitive exam. The IBPS Clerk Prelims 2017 exam will be conducted on 2nd/3rd/9th/10th December 2017 in different shifts each day. The paper overall was of easy to moderate level. The prelims exam will conducted today on four different shifts.It was observed that the english section was tougher than the other sections today as well . This analysis will give you a detailed indepth knowledge about the questions that were asked, marks distribution, good attempts and weightage given to each chapter of every section. Only 5 questions were asked in the Reading Comprehension as like in the previous shifts. The Reading Comprehension was an economy based one involving North Korea and the techniques they use to keep the economy stabilized. The much awaited IBPS PO Mains 2017 exam was held on 26th November 2017. Many students do not even get a chance to appear in the exam. If you are among the lucky ones, who got a chance to appear in mains, you are already a step ahead of your peers but you need to work hard to clear this hurdle. 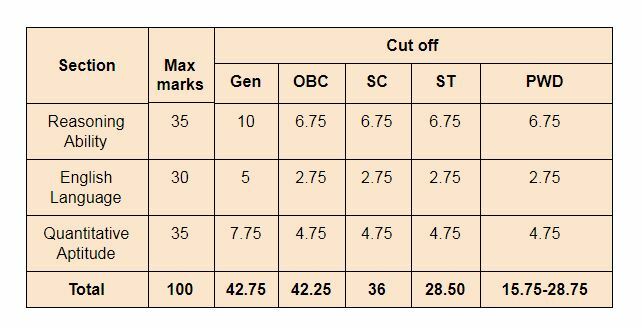 The preliminary exam is of qualifying nature only and the final merit list will be prepared by combining your score of mains and interview in the ratio of 80:20 . The IBPS PO prelims exam 2017 was of moderate to difficult level with a lot of changes in pattern in various shift. This led to a decrease in cut off from the previous year. So, it was expected that the mains paper will have a lot of surprises in store. And definitely this was the case observed. The Mains exam was very difficult for the students especially for those who had just started their preparation. 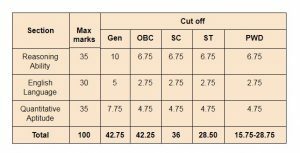 Changed pattern in almost all sections was a major setback in the performances of students. There were a very few conventional questions. Also the addition of descriptive test made it all the more difficult for students. So if you are not happy with your performance, don’t worry as you are not the only one who has not fared well. It can be expected that there will be a decrease in cut-off as well. So students try to be optimistic. Sectionwise, English section was the toughest followed by Reasoning ability, Data Analysis and Interpretation and General/Economic/Financial Awareness.The English Section had extreme changes in pattern with new pattern questions of Errors, Double Fillers, and Cloze test. To add to the level of difficulty, the None of these option was present in almost all the questions in this section. In Reasoning Section, most of the questions, apart from the ones on Data Sufficiency, followed a new and convoluted pattern that took the students to invest more time than usual in this section.The questions were very tricky and time consuming. ’Can’t be determined’ option was given in most of the questions, which added to the difficulty level of the questions. The puzzles were very tough to crack and there was only 2-3 questions from each set. No questions were asked from the computer aptitude although it was merged with the Reasoning section . The Data Analysis and Interpretation section was not very tough yet it was calculative & based on concepts. The questions could not be solved with tricks. New pattern Caselet and inclusion of Geometry in Data Sufficiency made this Section more difficult and complicated than ever before. Inequalities were asked in the form of Quantity 1 and Quantity 2.